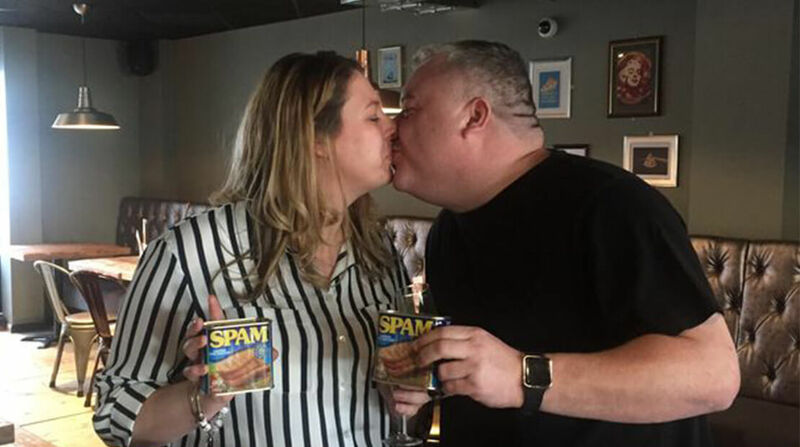 Watch the moment a man, who changed his name by deed poll to Mark ‘I LOVE SPAM’ Benson, is told he will be getting married in the SPAM museum in America. Fiance Anne Mousley, surprised her partner with the ‘spamtastic’ news, under the pretence that he was meeting her for an early valentines meal. But instead the father-of-two was told that on April 25, he will be the first ever person to be married in the SPAM Museum in Minnesota, USA. Hormel Foods Corporation Announces Webcast of 2017 Consumer Analyst Group Of Europe Annual Conference Hormel Foods invites interested parties to listen to the 2017 Consumer Analyst Group Of Europe presentation live via the Internet.